Hello again! Welcome back to the official blog space of Bears Family Plumbing, Heating, & Cooling — your Loveland, Fort Collins, and Denver plumbers of choice. 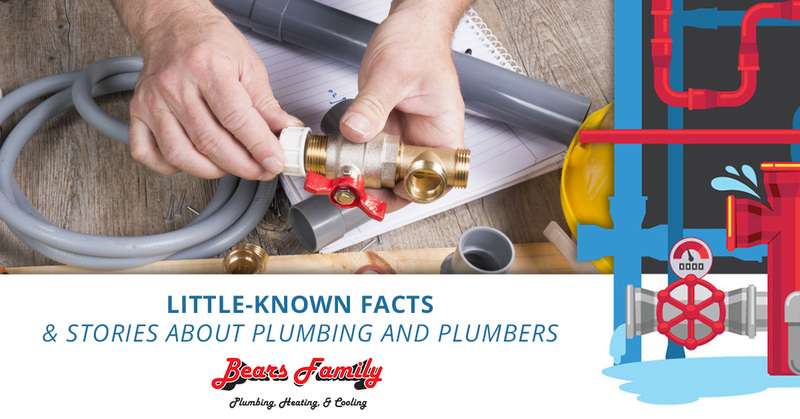 If this is your first time reading our blog, or perhaps even hearing the name Bears Family PHC in the first place, we’d like to start off this post by providing you a few facts about our own Loveland plumbing company. So before we get to our promised blog topic of the day, allow us to share with you just a little bit about the plumbing and HVAC services we offer. After all, if you are unfamiliar with us, these might as well count as little-known facts about plumbers! Wouldn’t you know it, summer lasted about a month too long and it seems like we are getting punished for it. Whether it’s by karma, blind chance, or some other power, Mother Nature appears inclined to forgo an entire season (known as “fall,” in case you forgot) in lieu of letting Old Man Winter have his due. It’s barely even October, folks, and we are already dealing with the prospect of multiple inches of snow accumulating on the ground. But, such is life in colorful Colorado. The state’s unpredictability is part of its charm. Genuinely, we wouldn’t have it any other way. And it’s difficult to complain when you remember that we are privileged to experience over 300 days of sunshine every year, so we should keep things in perspective. We can make sure you stay comfortable in your home the whole-year-round! 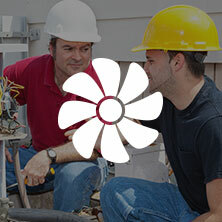 People need plumbers in the spring, summer, fall, and winter. In fact, a hallmark of a functional civilization involves having the ability to get sewage away from where we live. Without that ability, we’d be exposed to all kinds of illnesses we don’t have the energy or time to mention in this blog post. But when you think of a plumber as the facilitator of something that vital to society, folks might be inclined to hold our profession in higher regard. When you learn that our highly-skilled technicians will arrive at your home in a punctual and professional manner, your respect might grow for our local plumbing company in particular. When you realize that our plumbing repair services are backed 100 percent and they give you a 90-day-guarantee, your affection might start to be a bit over-the-top. 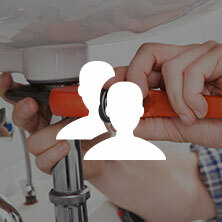 Beyond the essential ability to get the job done in a timely manner for a fair price, we are a local plumbing company that is committed to going above and beyond expectations. Whether your need is commercial or residential in nature, we want you to know that we are more than capable of solving your issue. We understand that you have more than a few different choices when it comes to selecting a local plumber. That’s why we treat every job, big or small, with the same consistent level of dedication, professionalism, integrity, honesty, and confidence! If you were to criticize us for belaboring the point in the above paragraphs, you might have a case. We apologize; we tend to get a bit carried away when we talk about the merits of our own plumbing company and what we can offer our customers. Moving right along, however, let’s use the remainder of our time to actually discuss what was promised in the title of today’s blog. 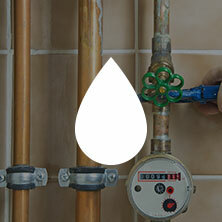 Did you know that not dealing with a leaky faucet can waste much more water than you might have thought? For example, a leaky faucet that only drips twice per minute will lead to the wasting of over 50 gallons of water per year! Mario and Luigi, whom we all know and love, are both plumbers. And they are brothers, but you probably know that already. The word plumber is derived from the Latin word “plumbum,” which means lead. Luckily, lead pipes have by and large gone the way of the past! Some of the earliest forms of indoor plumbing were discovered by archaeologists in Egypt. Said discoverers were excavating the Pyramid of Cheops in Egypt and happened upon part of a water plumbing system. This is estimated to have been in use as far back as 2500 B.C.! Here’s a bonus fun fact for you — the archaeologists discovered that the Egyptians used copper piping for their plumbing fixtures, which is the same material used in modern piping for the most part! Albert Einstein is reported to have said that if he were to do it all over again, he would become a plumber. Because of this statement, the Plumbers and Steamfitters Union in Washington D.C. granted him the status of honorary member. He also received a set of gold-plated plumber’s tools from a local New York plumber, which is pretty neat. Over 28 billion feet (or 5.3 million miles) of copper piping has been laid in U.S. structures since the year 1963. That’s the equivalent of a single copper pipe wrapping itself around the earth a full 200 times! That’s a lot of pipe, folks. Over $100,000 was spent on a research project which aimed at determining whether the majority of people put their toilet paper on the holding fixture with the flap behind or in front. Just so you know, that money was well spent, as the researchers reported that three out of every four people set up the flap in the front — thank goodness! Due to our ample preamble, we’ll need to turn this blog post into a two-part series! As you can probably imagine, we are just beginning to scratch the surface of all the crazy, interesting, and random plumbing facts that are out there. So stay tuned for part two! In the meantime, if you are actually in need of a Loveland plumber, be sure to reach out to us at Bears Family PHC! We’d love to hear from you and get your problem solved in an affordable and timely way!